Karin Fields is an award-winning, 20-year veteran of the telecom and cloud industries, presently leading a top-ten master agency, MicroCorp. 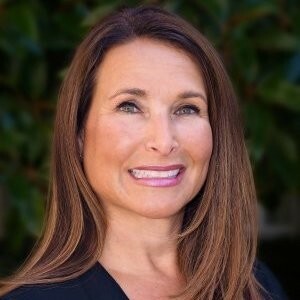 Fields is presently Chair of The Alliance Partners, two-time recipient of CRN Women of the Channel, and is a founding member of Alliance of Channel Women. Articles are published about the lack of qualified talent in all areas of technology almost daily. It’s a growing concern for employers because the demand is only going to increase in coming years, and school can provide only so much foundation for technology expertise while experience is developed over time. As we all know, the higher the demand, the more companies will pay for great talent. But remember: “pay” doesn’t necessarily mean dollars. To working women, “pay” can mean flexibility and a better work-life balance. A perfect example of a woman who jumped on this development is my friend, Denise. Denise is a senior programmer for a Fortune 50 company. She is very well respected within her organization and is always involved with high-profile projects. She is also the mother of four. Several years ago she was struggling to find a good work-life balance. So, in true Denise form (she is a problem solver by nature), she approached her boss to see if she could change her schedule to work four 10-hour days instead of five 8-hour days. Having that one extra day off a week would give her some breathing room so that when she was at work, she was fully engaged. At first, her manager, who was a woman, rejected her request because that wasn’t the company’s policy. Denise pushed her boss to take her ask to the next level, which her boss did. Her boss’s boss knew how valuable Denise was to the company and approved her request. To this day, Denise still works that same schedule. Of course, if there are important meetings or big deadlines, Denise is flexible with her employer as well. It works both ways. As for me, when my kids were little, my work-life balance meant me taking a break between 4 pm-8 pm. I could be at home, helping with homework, making dinner, and totally focused on my family. Then at 8 pm, once the house had quieted down, I would turn on my laptop and finish the rest of my day. If I needed to work till 10 pm, I worked till 10 pm. If I needed to work till midnight, I didn’t like it, but I worked till midnight. However late I needed to work, I did. And, you know what? I never had anyone say a thing about it. Actually, I know my partners respected the fact that I had a good work-life balance. Technology, which includes infrastructure, security, and traditional telecom, are all morphing into new and exciting territories. Experience and expertise will be highly sought-after in these areas. This will create great opportunities for women to grow and advance into the positions they want. I strongly recommend women try to become specialists in specific areas because that greatly increases their value. Take classes, read, and educate yourself. Outside of security and cloud, there’s going to be an explosion in the data center arena, so look there, too. Being a specialist in those areas can mean good money with the type of hours that allow you to have that work-life balance you want. As I previously mentioned, companies will “pay” for great talent. Figure out what you need to get the right balance for you and your family. It has to be realistic and help your company meet its goals. But the more a company needs and values your skills, the more flexible they will be with you.